NVIdia today introduced the NVIdia GeForce GTX 700M series of notebook GPUs, which enable gaming notebook PC designs that are smaller and more powerful than ever before. The GeForce GTX 700M series GPUs bring blistering performance, advanced gaming technology and true portability to the next generation of gaming notebooks. Based on the NVIdia Kepler architecture, 700M series GPUs feature technologies that automatically maximize notebook performance and the gaming experience. With no effort or input from the user, the technologies work in the background to save battery life, enhance performance and enrich visual details — providing the best notebook experience the GPU can deliver. Notebook manufacturers that have committed to using GeForce GTX 700M GPUs in their designs include Acer, Asus, Clevo, Gigabyte, MSI, Razer and Toshiba. 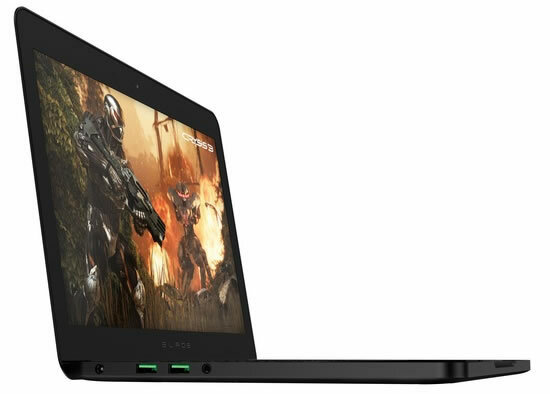 World’s thinnest gaming laptop Razer Blade is thinner than a dime!